Jennifer Singer has over ten years of experience in international development working closely with multilaterals, bilaterals, and foundations. Jen previously worked as a Senior Manager at Development Finance International (DFI), Inc. in Washington, DC where she led work with private and public sector clients to map out financing opportunities with the World Bank and other funding agencies. Sectors of focus included agriculture, nutrition, financial inclusion, and gender. Prior to DFI, Jen worked as Program Manager at The MasterCard Foundation where she managed a USD $75M portfolio of financial inclusion and youth economic empowerment programs in Africa. Jennifer has also consulted with Government of Rwanda and with TechnoServe in Mozambique. 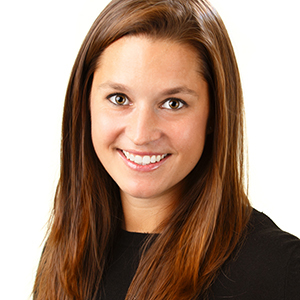 Jen started her career focused on increasing access to micro‐insurance for women in India. Jennifer also worked with Freedom from Hunger to complete a gender analysis of several programs globally. Jen has experience in stakeholder mapping, workshop facilitation, positioning, and advocacy and consultations with major UN agencies and other development partners (FAO, IFAD, EU, DFID, USAID, and private foundations). Jen has a MPA from Columbia University’s School of International and Public Affairs and a B.Com from McGill University. Our Mission is to advance the socio-economic wellbeing of Indigenous Peoples around the world through community-driven economic development.